We “Sugar & Ice” reserve the right to change these terms and conditions at any time. Any such changes will take effect when posted on the website and it is your responsibility to read the terms and conditions on each occasion you use this website and your continued use of the website shall signify your acceptance to be bound by the latest terms and conditions. Access to our website and use of features of our Platform is free. We charge fees for various premium features and services that we offer, and we will notify you of those charges at the time that we offer you the premium features or services for a fee. We may, in our sole discretion, and by notifying you on our website, change this policy and begin charging for access to our website and other features and services, and we may, in our sole discretion, add, remove or change the features and services we offer or the fees (including the amount or the type of fees) we charge at any time. If we introduce a new service or charge a new fee, we will establish and notify you of the fees for that service at the launch of the service or start of charging a new fee. If we notify you of new fees or change the fees for an existing service, you agree to pay all fees and charges specified and all applicable taxes for your continued use of the applicable service. We are not responsible for any charges or expenses you incur resulting from being billed by us in accordance with these Terms of Service (e.g., overdrawn accounts, exceeding account limits, etc.). Our site is protected by SSL when you book, so your details are secure. All payment information is handled by our merchant, Paypal. We will take all reasonable precautions to keep the details of your order and payment secure, but, unless we are negligent, we cannot be held liable for any losses caused as a result of unauthorized access to information provided by you. "Your Information" is defined as any information post or other material you provide (directly or indirectly), including through the registration process or through the use of our Platform, your Profile or through email. You are solely responsible for Your Information, and we act as a passive conduit for your online distribution and publication of your Public Information (as defined below). Any of Your Information that, through the use of our Platform or otherwise, you submit or make available for inclusion on publicly accessible areas of our website is referred to as "Public Information" (your name (if provided) and location are considered Public Information); any other portion of Your Information shall be referred to as "Private Information." "Publicly accessible" areas of our website are those areas that are available either to some or all of our members (i.e., not restricted to your viewing only) or to the general public. You should understand that your Public Information may be accessible by and made public through syndication programs (including data feed tools) and by search engines, metasearch tools, crawlers, metacrawlers and other similar programs. All Content added, created, uploaded, submitted, distributed, or posted to the Services by users (collectively “User Content”), whether publicly posted or privately transmitted, is the sole responsibility of the person who originated such User Content. You acknowledge that all Content, including User Content, accessed by you using the Services is at your own risk and you will be solely responsible for any damage or loss to you or another party resulting therefrom. You may delete or remove your User Content, with the exception of private messages, either yourself or through a request made to one of our employees or affiliates. When your User Content is deleted, it will be removed from the Services. However, you understandthat any removed User Content may persist in backup copies for a reasonable period of time (but will not following removal be shared with others). (h) shall not link directly or indirectly to any materials to which you do not have a right to link to or include. 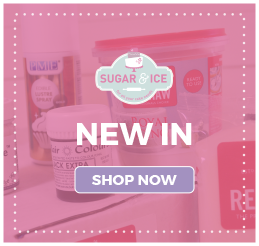 Please ensure all enquires are emailed to enquiries@sugarandicecake.co.uk or through contact form on our contact us page. All relevant enquires will be responded to within the next working day.